As all the Rick and Morty quotes on this list show, the Adult Swim series defies the idea that cartoons are for kids. The animated series is hilariously funny, yes, but it's also unexpectedly insightful, wise, and philosophical, offering thoughtful commentary on everything from the human condition to love to just why we keep dogs as pets. Vote up the best Rick and Morty quotes that are the wisest and the truest. 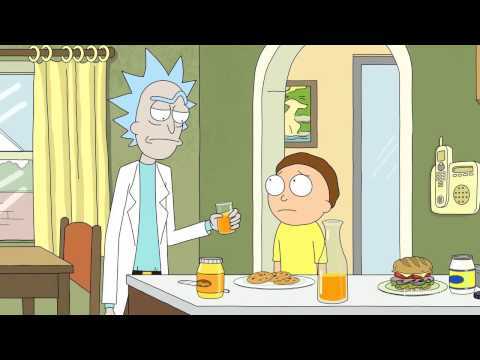 Most of Rick and Morty's philosophizing comes from Rick Sanchez, an alcoholic super-genius whose worldview is bleak and cynical, yet also somehow slyly hopeful. His teenage grandson Morty, who accompanies him on science-fueled adventures through time, space, and reality. Sometimes Morty offers up a philosophical quote or idea of his own, but he's usually busy avoiding sexual assault by giant jellybeans. That's the kind of universe Rick and Morty takes place in. Even for Adult Swim, Rick and Morty is deranged, but it's also insanely smart. Episodes tackle the mind-boggling complexity of the multiverse, the mysteries of love, the agony of depression, and everything in between. In the quotes we've collected here, it's clear that Rick and Morty is the smartest, most existential, most philosophically challenging show on TV. Vote up your favorite Rick and Morty quotes that illustrate the show's strangely wise philosophy! Wubba lubba dub dub! "Nobody Exists On Purpose. Nobody Belongs Anywhere." 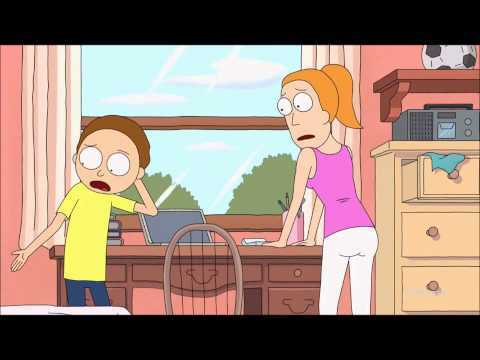 In "Rixty Minutes," when Morty tells his sister Summer, "Nobody exists on purpose. Nobody belongs anywhere. Everybody's gonna die... Come watch TV," it's not the bleak surrender it sounds like. Instead, it's an existential philosophy articulated with surprising clarity and concision. Morty, who is effectively living a lie in a parallel dimension, knows better than most just how absurd and indifferent the universe can be. In these short, brutal lives, he argues, all we can really do is find joy in the simple things. Like television. Like Rick and Morty. Meeseeks are simple creatures of Rick's invention who materialize at the push of a button to help complete a single simple task, then disappear. When confronted with an unsolvable problem, however, the Meeseeks can't disappear, and they then spiral into depression, frustration, and, ultimately, homicidal insanity. Their lack of usefulness turns their lives into ongoing ordeals they’re unable to handle. It’s basically a metaphor for a life without purpose, folks. "Love Is Just A Chemical Reaction..."
When Rick takes a long view on love, it sounds like this: "What people call 'love' is just a chemical reaction that compels animals to breed. It hits hard Morty, then it slowly fades, leaving you stranded in a failing marriage. I did it, your parents are going to do it. Break the cycle, Morty. Rise above. Focus on science." As with all of Rick's insights, this one sounds sort of terrible and cynical at first, but in urging Morty to break the cycle, Rick reveals a hopeful side. His heart may have been shellacked by love, but the same fate doesn't need to befall his grandson. "...That's How We Grow As People." With one uninterrupted quote in the pilot episode, Rick shares some surprisingly helpful thoughts on growing up. Morty's overwhelmed, as anyone would be when visiting an alien world, but Rick walks him through it, saying, "Alright, alright, calm down. Listen to me, Morty. I know that new situations can be intimidating. You looking around and it's all scary and different, but y'know, meeting them head-on, charging into 'em like a bull - that's how we grow as people. I'm no stranger to scary situations, I deal with them all the time." When a horrifying monster suddenly interrupts his speech, Rick then teaches his grandson about self preservation, shouting, "Holy crap, Morty, run! Run for your life, Morty, run!" From this, we can gather that all the philosophical points on this list are secondary to survival, a fine lesson unto itself.